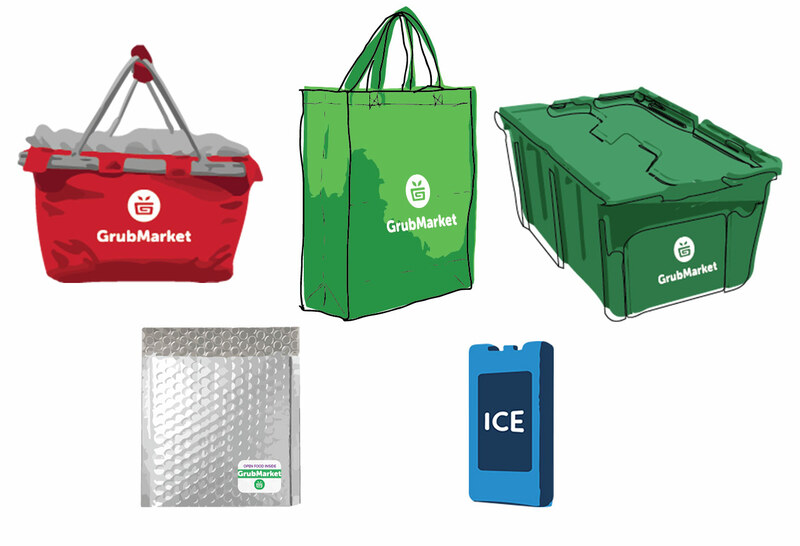 The 7 Ways GrubMarket is "Green"
Wait, an online grocery store that has consistently maintained a reusable packaging program for seven years? Us Southern Californians have been trained over the last few years to bring our reusable grocery bags every time we visit a conventional grocery store, however, somehow we let this slip when ordering online! That’s a lot of plastic and trees sent to the dump everyday! That’s why we’re committed to reusable packaging. We know how important it is. Luckily we have the best customers in the world, who share our goals, and are so awesome at returning their bags, bins, insulated envelopes and ice packs every week. 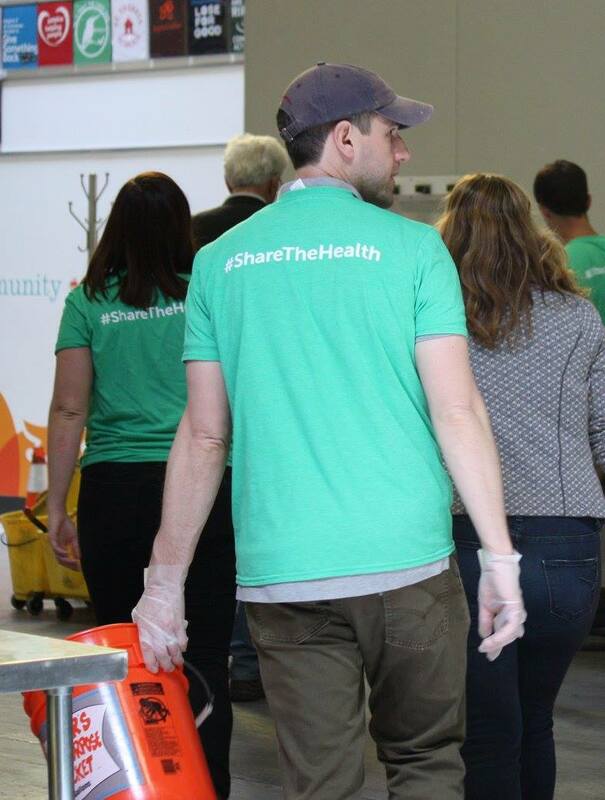 Then our team members deep clean and sanitize (with clean non-toxic earth-friendly products) and they’re ready to go out the door to the next family! Together we save over 70,000 single-use bags from landfills EVERY YEAR! That feels pretty pretty good. Imagine walking into the produce section of your standard corporate grocery chain. 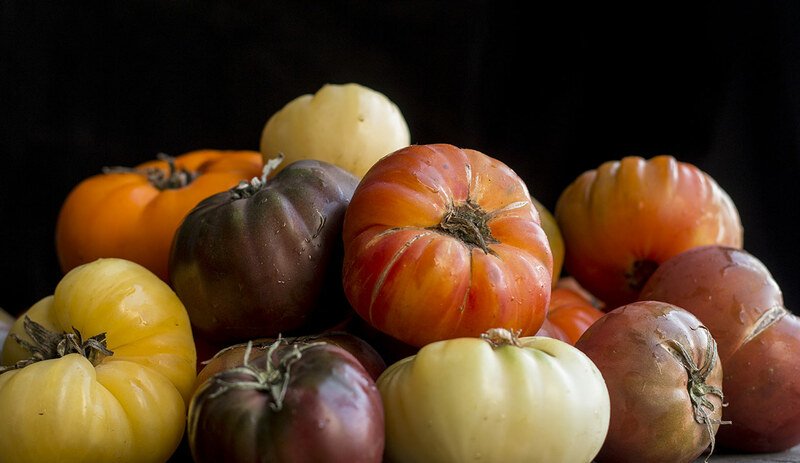 The first thing you see is piles and piles of beautiful vibrant colors; oranges, tomatoes, avocados, and greens. That’s no accident. There is a reason grocery stores don’t open into the dog food aisle. Why? Because fresh fruit and veggies, especially a beautiful abundance of them, tell your brain that healthy, fresh things are sold here. But what you may not think of, as you pick those few oranges off of the top of the tower, is the consequences of this aesthetic abundance. While it may look gorgeous, it harbors a dark secret. All commercial brick-and-mortar grocery stores (even the cool organic ones) waste a majority of those beautiful fruits and veggies. Unlike processed food with a high shelf-life, all those fruits and veggies are meant to be eaten at the same time. This means over 50% of produce supplied to grocery stores nationwide will end up in the dump. We only order what we need to serve our customers, and no more. That’s why we have timed check-outs and strict cut-off times. 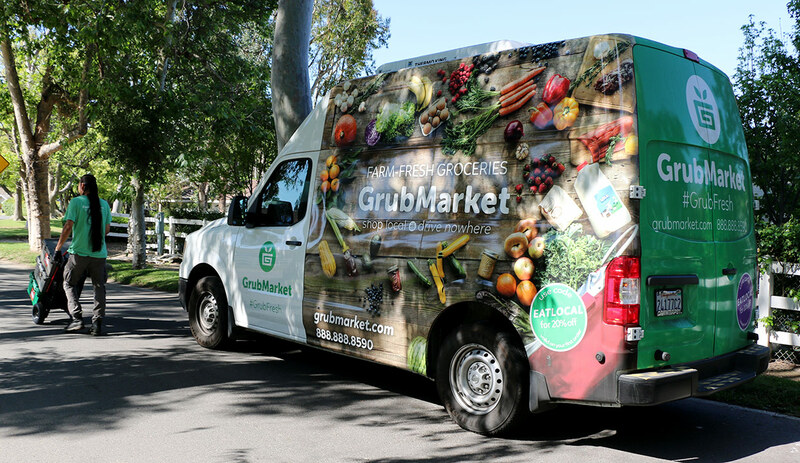 When you shop at GrubMarket you are savings thousands of tons of food from the dump. So go ahead and pat yourself on the back. Good job, good job! *Our current food waste percentage is between 2%-5%, 10x less than brick and mortar grocery stores, but we (collectively and individually) are all committed to that 0% goal! Hi Adam! Sorry, we just wanted to say ‘Hi’ to one of our longest and most beloved drivers. 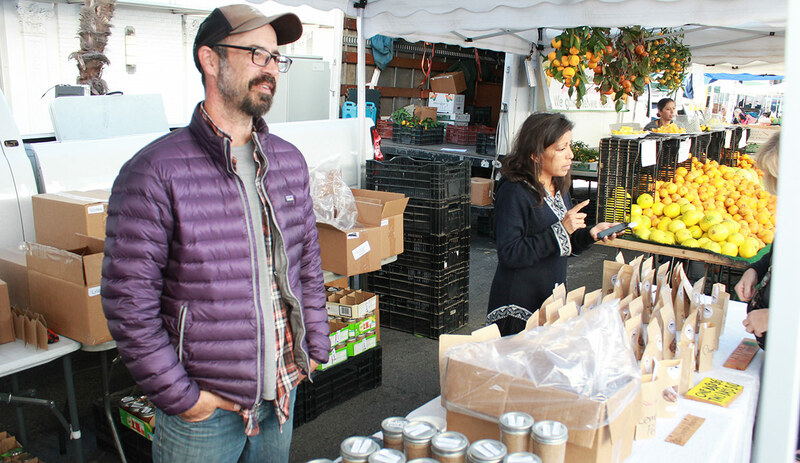 Adam has been working as an organic produce delivery driver for almost 13 years! Okay, back to our revolutionary routing. 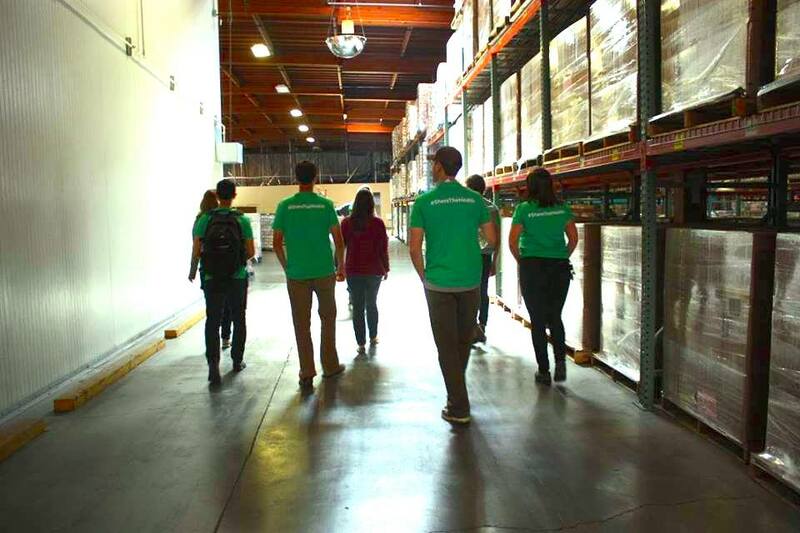 Instead of driving each individual order to every customer (like some other online ‘insta’ deliveries), we create deliberate delivery days, zones, and routes to hit every customer in a more environmentally conscious way. It may take a little extra time, but this drastically reduces the amount of fuel, pollution, and cars on the road. So tell your neighbors about us! We’re already in your neighborhood several times a week. 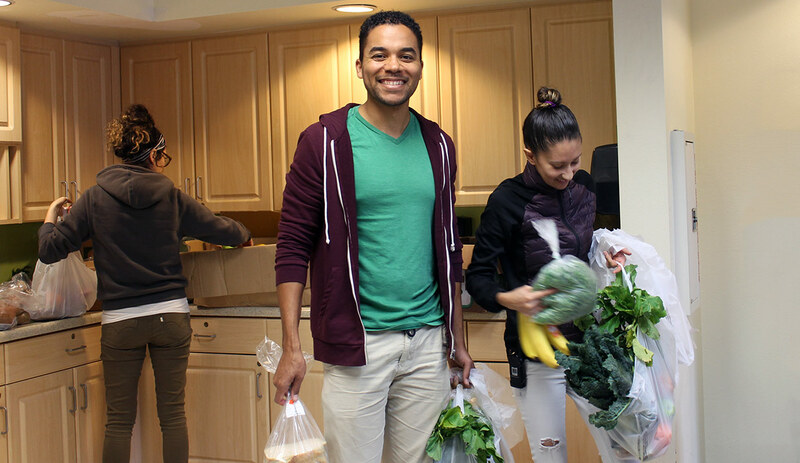 Friendly gents and gals would be happy to hand-deliver your groceries to you! What the heck is Bio-diversity?? Don’t worry, we’ve got you. Bio-diversity is crucial for our health and the health of our planet, but so many people have no clue what it is, don’t know what is going on in the food industry, and therefore don’t know to to help. Biological diversity, or bio-diversity is just like human genetic diversity. We all know that if we reproduce with people who are too genetically similar to us, we start to get a little… weird. Also, evolutionarily, if we were all genetically identical than a single disease could come through and wipe everybody out! Think back to the potato famine… (I know, St. Patrick’s Day is probably a bad day to bring this up) Irish potato farmers had a lack of bio-diversity and a whole country’s main crop and food source was wiped out, leading to massive famine. Today, Biological diversity is being lost around the planet at an alarming rate and our food choices have been shrinking for decades. Example: at the turn of the century, Americans grew 7,000 apple varieties; only 10 percent of those remain today. Monocrops are easier for Big Food Corporations to maintain and derive profits, and without incentive they will continue to do so! That’s why we go out of our way, and pay a little more, for small farmers who are fighting the food fight for Mother Nature. What we have is ours to share. 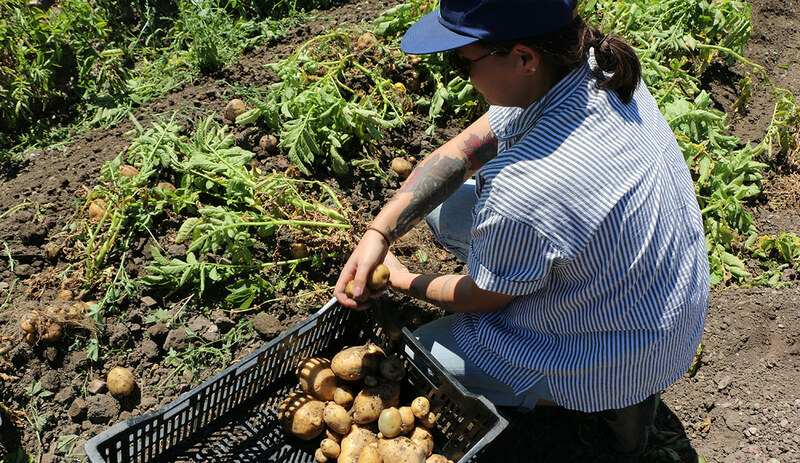 It’s not only the earth and its farmers that need our help, but thousands of people in Los Angeles are currently struggling to get enough nutritious food in their diet, whether that is based on income, homelessness, or lack of accessibility in “food deserts” across the county. That’s why it is so important for us to share the wealth of health with as many people as we can. Any surplus we have we donate to Food Finders and the Alliance of Moms (in Southern California) and the Alameda Food Bank (in Northern California). These charities are doing unbelievably important work in their communities and we are proud to support them. We also make sure our staff has enough to eat. Unlike other corporations that don’t let their own employees eat perishable food that is no longer sellable, food that we can’t sell or donate is on the house! 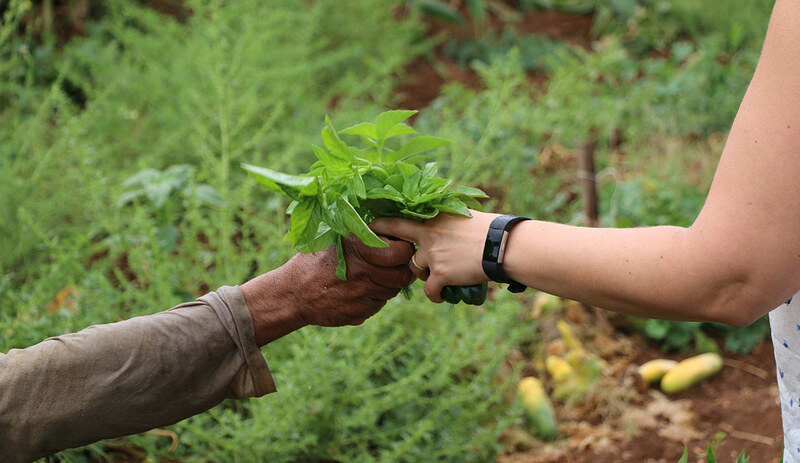 From ugly salad parties (when we turn ‘ugly produce’ into gorgeous salads) to pot-lucks, our staff is our family and family doesn’t leave hungry. From re-printing on scratch paper, to recycling, to only using eco-friendly cleaning and paper products, we make sure our green streak doesn’t stop in the office. But with such a passionate and dedicated team of like-minded earth-lovers, it’s never been a challenge. Happy St. Patrick’s Day. Thank you for being ‘green’ with us!